“Jon Bruney brings his straightforward, cohesive and clear approach to training in Neuro-Mass, telling you what to do, why and how—combining grinders, dynamic movements and isometrics in a training program that can help you redefine your best.”—RANDALL J. STROSSEN, Ph.D., Founder & President, IronMind Enterprises, Inc.; Publisher & Editor-in-chief, MILO: A Journal For Serious Strength Athletes. How sure are we that Neuro-Mass (paperback) will work for you? Simply fill out the form below and put Neuro-Mass (paperback) to work for you right now. Obviously, we would go out of business if Neuro-Mass (paperback) didn't work, the way we said, right? With the promise of a full refund if you're unsatisfied, you have nothing to lose by trying Neuro-Mass (paperback). Go ahead and try it today. "How To Develop Maximum Strength, Speed, Power, Muscle and Unstoppable Conditioning - In 3 Hours Per Week Or Less"
What you’re about to discover isn’t ‘just another training program’ – it’s something truly special…Something ‘game changing’ in the world of strength and conditioning. Bodybuilders are experts in building MUSCLE MASS, but they often aren’t very strong for their size and sometimes lack the athleticism their impressive physiques suggest they should have. 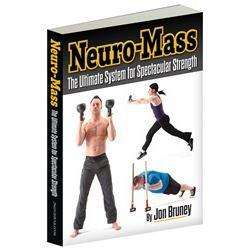 Unless of course – you follow Jon Bruney’s Neuro-Mass training program. You can have impressive muscle mass, huge strength, the speed and power to dominate in any sport and the type of conditioning you need to handle ANY physical challenge that comes your way. And you can get it all in just 3 hours training a week OR LESS. It’s basically the type of muscle that he himself needed – and successfully developed – to become one of the world’s elite performing strongmen. "How did Jon build smart muscle and how can he help you do the same?" Jon refers to these sets as ‘Neuro-Sets’. And it’s these ‘Neuro-Sets’ that are the secret to SMART MUSCLE – the secret to building a body that is capable of overcoming ANY physical challenge. And it’s this trio that Jon calls the ‘Magic Combination’. And isometrics have been used to build static strength… But they have never been combined into one non-stop set – the ‘Neuro-Set’. And it’s only when you combine them in the CORRECT WAY that the magic happens! So far it’s all sounded pretty good…right? Build more muscle, get way stronger, become faster and way more powerful and gain superhuman conditioning… all in just 3 hours training – or less – per week. It requires you to train intensely. It’s not for wimps and wussies. When legendary powerlifter and strength coach MARTY GALLAGHER experienced Neuro-Mass – he loved it because he knew he was experiencing something truly NEW and revolutionary in the world of strength and conditioning. In pursuit of your best body ever? If you aren’t – no big deal. Go find an ‘easy’ training program and accept the inferior results that come with it. Your call. And if you don’t have any Kettlebells, don’t worry – Jon provides tons of exercises in Neuro-Mass that use just your bodyweight. What this means is that you can perform this program at home OR at the gym. When you see the list of exercises Jon has put together in Neuro-Mass – using just your bodyweight or Kettlebells – you will be amazed. Some of the exercises you will have seen before, others you won’t. And "YES" – some are just plain nasty. The sledgehammer Push Up (one of the few optional exercises that require more than just your bodyweight or kettlebells) is one example of a NASTY exercise that Jon developed to build muscle and strength in your shoulders, triceps and chest. Equally as important – it’ll build a rock-solid core, complete with strong, defined abs. It is easy? Hell no! When it comes to improving your body – you can’t get something for nothing. How can Neuro-Mass require you to train intensely HARD and be ‘the easy way out’? At times you might think "Why the heck am I doing this to myself?" And you’ll find challenges that require a ‘pair of lungs’ get easier and easier because Neuro-Mass builds huge work capacity. You’re going to notice ALL that whilst training only 3-4 times a week for 45-60 minutes at a time! And that’s why I say Neuro-Mass is the EASY way out. Maximum results in minimum time… efficient training. That’s what you get with Neuro-Mass. The truly hard thing is doing what most ‘fitness enthusiasts’ and gym rats do – jumping from one training program to another every few weeks and as a result, never really seeing any RESULTS. That’s the truly HARD approach to physical training… Spending a lot of time ‘working out’ and having little – if anything – to show for it! HUGE RESULTS, training 3 hours a week at the most. Why Should You Trust Jon Bruney? There are a lot of training programs out there written by individuals with very little expertise. It’s written by Jon Bruney – a man with huge expertise… a man who ‘walks the walk’ when it comes to physical transformation. Jon is a world-class, world-renowned performing strongman and his incredible feats of STRENGTH have been immortalized in Ripley's Believe it or Not and shown nationwide on NBC's The Today Show. Thousands of people have personally experienced Jon's jaw-dropping "Pressing the Limits" motivational strength programs. A true renaissance man in the realm of strength development, Jon Bruney is a world-class trainer, coach, motivational speaker and strongman. Jon’s work with competitive athletes includes Olympians and NFL players. He is the author of Foundations, a training series featured in MILO, widely considered the world's most prestigious strength training journal. Jon is a veteran of numerous trainer certification courses including Battling Ropes Level Two and Controlled Fatigue Training. And well - I think you get the idea. And he can help you achieve physical peaks higher than you ever imagined via his Neuro-Mass training program. And that’s a FACT. Why Neuro-Mass is the fastest way to add slabs of functional muscle to your frame. Why SMART muscle is THE answer for the serious athlete and how to build it. How to avoid being one-dimensional in your strength training. 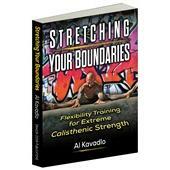 Discover the secret to arming yourself with multi-tasking, multi-dimensional, "can-do", martial muscle—intelligent and ready to handle any challenge. How to carve a frame of godly granite—while turbo-charging your functional strength and athleticism. How to cut through the confusion—and get the exact protocols you need to create a truly impressive athletic physique. 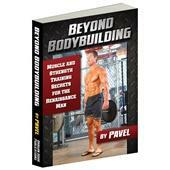 How Neuro-Sets create RAPID physique transformation—using multiple stressors to create a BIGGER and BETTER body. 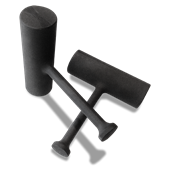 How to build tremendous overall structural strength—with grinds. How to increase your ability to generate power… do this and you’ll jump higher, run faster, kick harder, punch with more venom – basically, you’ll improve at any explosive physical activity you care to name! How to develop your body’s ability to absorb shock… essential if you do a contact sport like rugby, football, boxing or any martial art. How to simultaneously enhance your strength and conditioning… so you get more results in less time – leaving you free to ‘have a life’ and not waste endless extra hours in the gym. How isometric exercises can be used to build unbelievable strength… this technique was used by old-time strongmen and is used by gymnasts to build ‘freakshow’ strength – in Neuro Mass you’ll learn EXACTLY how to use this ‘long lost’ strength building technique. How to shatter slabs of concrete with your bare fist—without injury. Why the kettlebell makes regular lifts more difficult than standard dumbbells and why this leads to FASTER results. The secret that separates those who achieve elite performance from those who never rise above mediocrity (if you want to be ‘elite’ in your chosen physical pursuit – you NEED to know this). The 4 ways Neuro-Mass develops prodigious mental toughness – important because a strong body with a weak mind is virtually useless. What load to use to get the biggest strength bang for your buck with kettlebell and bodyweight grinds – know this and MAXIMUM results will be yours. The exact duration for optimal gains on your power drills – important to know if you want to achieve your true speed and power potential and become the most explosive athlete you possibly can be. Perform your isometrics for THIS length of time for optimal gains and develop unreal static strength. How to forge real-deal body-armor—to handle the nastiest hit and the hardest blow… a ‘must’ if you compete in any contact sport, martial art or have a ‘hard’ job in the military or law enforcement. How to use Jon’s ‘Neuro-Burner’ to build even more work capacity… unlike regular ‘cardio’, the Neuro-Burner won’t hurt your muscle and strength gains. This technique has been tested on elite MMA fighters and Basketball players and they were sucking wind within seconds! How to recover from your brutal Neuro-Mass training sessions using cheap, quick and easy methods that are proven to work. "There's a lot more to building muscle than just increasing the size. When you focus only on building mass you may wind up with a useless muscle that looks good but can't perform. World-renowned strength athlete Jon Bruney addresses this problem head-on with his revolutionary Neuro-Sets. When you incorporate these sets from his new book Neuro-Mass you'll not only achieve the maximum hypertrophy you desire, but you'll train the nervous system to recruit more muscle fibers for the ultimate combination in size, strength AND athleticism. Question: Is Neuro-Mass suitable for beginners? Absolutely. The Neuro-Mass training program is suitable for anybody. It’s been tried-and-tested on Olympians, top NFL players, MMA fighters, Basketball players, Strongmen and far less accomplished athletes too. In fact, you’ll probably get better results if you are a beginner or intermediate athlete because you’re body isn’t yet working anywhere near its true potential. Question: I don’t have Kettlebells – can I still use the Neuro-Mass program? Yes, you can. You can easily substitute many of the Kettlebell exercises for Dumbbell or Barbell variations. And remember – there are bodyweight exercises in the program as well, so you are not just limited to the Kettlebell exercises. Question: The Neuro-Mass program sounds great, but I like training with barbells. Can I incorporate them? Yes you can. Very easily in fact. Just substitute the Kettlebells for a barbell, where appropriate. For instance, instead of the Double Kettlebell Front Squat – you could do a barbell Front squat. Instead of the Double Kettlebell Bench Press – you could do the regular barbell Bench Press. Neuro-Mass is not a book that hands you a complete, down-to-the-letter workout program in the back of the book that you follow without exception. And I'm fine with that. You've got to do your work with this book. Read through the exercises, note what you do, and don't have the equipment for, and what you can do in the space you have, then get cracking with a notepad or excel spreadsheet. That's where the magic happens. Personally, one of the most common times I see people fall off the wagon with a workout program is when it asks for equipment or space you don't have. "Oh, I didn't have X, so I just stopped". Well, problem solved. Just pick a different exercise to perform on that day! With adaptations for 1 or 2 kettlebells for most exercises, and also difficulty variations, along with the suggestions of min and max reps and sets, this should be enough to keep the biggest lover of variety busy for months, if not years. Easy to use, plug and play guide to effective and exciting programming. I picked up this book Aug 23rd, before it was even offered online. I have had a early jump on the Neuro-Mass training effect. Once started there has been no turning back. My copy already has dog ears and multiple post it notes from continuous use. The wide range of clients I train have been both stoked and outraged. Their workouts have multiplied in physical stimulation and mental challenge. 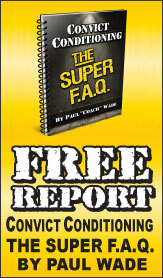 The book is layed out with 3 easy to apply concepts for program design GRINDS, DYNAMIC POWER DRILL, and ISOMETRICS. Each exercise is illustrated clearly making it easy to apply immediately. Working with clients personal needs and goals has rocketed to a whole new level. Planning classes for the masses takes a much less time by resourcing The Neuro-Mass extensive library of options. I would recommend this book to any newcomer looking to quickly improve their knowledge of program design. I would recommend this book to any colleague stuck in program monotony. This is the book I wish I would have had from day one. One of the best systems I've tried. And my favorite in Dragon Door. Amazing pumps. But I advise anyone who wants to follow this to follow it to the letter. It's very easy to overtrain if you do this and get the urge to do more. Neuro-mass is extremely intense and will wreck the deepest muscle fibers. If you're thinking about upping the intensity of the program, or stacking other intense programs on top of it, think again. It's a great program to follow for a few months. You will get bigger and stronger on it. Its a great book, not short at nearly 300 pages. The exercises are hard - definitely challenging and the type of training most people intuitively avoid. This is one of the better dragondoor books & most of them are very good. The book is okay, but it presents nothing new. The collection of exercises seems a little haphazard and poorly grouped (bodyweight exercises often rely on hammers, steps, medicine balls, and even a treadmill). There's no attention given to sequencing or progression; the premise seems built on a vague 'pick what's adequately hard' approach and that's it. There's nothing about cycling effort beyond the generic promise of 'you'll never plateau'. The idea behind Neuro-Mass itself is fairly interesting - the three-tier work set that comprises a Neuro-set - but its not anything that hasn't already been explored by other writers. And because the results/goals are so very vague and ill-defined, it will be impossible to say whether or not the approach works particularly well or even better than more traditional approaches. The book presents only about 10 pages of actual application and leaves you to essentially assemble the pieces. The vast majority of the book is just exercise descriptions (and there are some very interesting exercises in there). The book falls short on every front. It isn't detail-oriented enough for a seasoned pro, nor is it clear enough for a novice. Theorists and aficionados may enjoy the premise of the three-tier work sets, but they've probably already read about it previously. Athletes needing a proscribed approach to a specific goal will likely find the book woefully lacking. All in all, Neuro-Mass definitely is not up to Dragon Door's usual standards and pales in comparison to Easy Strength, Convict Conditioning, or others. There are a lot of great things in this system of training. I can definitely tell that I am getting results. I love how there is a very customizeable work-out set-up and how he shows you every work out you will probably ever need with this system. With that said there could definitely be more detail about neurological and muscular interactions and even possibly: hormone stimulation, nutrition, and how mind-states affect physiology; because I thought that is what this training system was about: applying that knowledge to a very keenly developed system. It seems to me like you would have to know that stuff already in order for this system to reach its maximum potential. It touches on one or two things that are definitely helpful in those areas, but if this system wishes to be the "ultimate system for spectacular strength" it would include all of the details of such things. This system has the "what" but it needs the "how" and "why". Anything I've gotten from Dragondoor is top notch, 2nd to none. A bit pricey, but well worth it. I love this book! An excellent book to add to your strength in a dynamic refreshing way. Love the ideas provided. This was a really interesting approach to strength training. I had not thought of incorporating isometrics into my training before. It was been a great addition to help bring up my weak points. 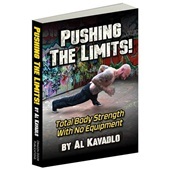 An excellent book for folks looking to combine strength and explosiveness.